Problem statement: behavior of SEMS-based robots is modeled by a knowledge base (KB) represented in different formats (semantic networks, sets of productions, etc. ), and the robots interactions model can be represented as an integrated KB. During development and operation KBs, there exists a problem of their anomalies. Retarded detection of such anomalies can lead to malfunctions and breakdowns. Anomalies of inconsistency play an especially important role in faults diagnostics for robots teams. A large number of publications have been devoted to the methods of detecting these and other anomalies. At the same time, methods to eliminate anomalies lack for adequate studies. Purpose of research: development of new methods for detecting anomalies of inconsistency, as well as algebraic methods for eliminating some anomalies in integrated KBs of interacting robots, in particular, the contradiction anomaly during logical inference. Results: an overview of techniques to detect anomalies in integrated KBs of interacting robots is presented. Presupposition is shown to be one of examples of the contradiction anomaly during logical inference. Presupposition is often encountered in texts and has a property of existence of mutually exclusive conclusions from the same premise. A method for explaining and eliminating this anomaly is proposed. Practical significance: the proposed techniques of anomalies detection and elimination can be used to control robots teams in order to decrease failures in their functioning. 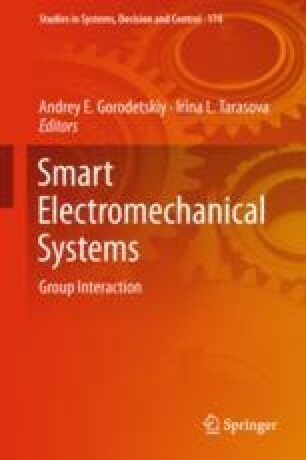 The authors would like to thank the Russian Foundation for Basic Researches (grants 16-29-04424, 16-29-12901, 18-07-00132, 18-01-00076) for partial funding of this research.